You find out you’re pregnant. Such joy (and perhaps such fear) at the same time! You have so much to look forward to and plan for. There are many things to think about, and there are also a few important first steps to take, such as taking a pregnancy test and ensuring it’s positive, arranging for your first ultrasound and even scheduling a visit to your dentist. Although dental visits may not be high on most pregnant women’s priorities, it is still quite important for both mom and baby’s health. When making an appointment with the dentist’s office, let them know that you are pregnant, which trimester you are in, any other changes in medical history and if your pregnancy is considered high risk. The discussion with your dentist will include topics such as changes in hormones, history or propensity for gum and dental disease, whether you’re experiencing morning sickness, the appropriate time for treatment while pregnant, and how all of the above can affect your overall health. Proper diet is important for teeth and a growing baby. A balanced meal is the best plan for both mom’s and baby’s health, and ideally consists of leafy greens, fruit, whole grains and lean proteins, while also limiting snacking and eating sugary foods, candy and drinks. Ignore the statement of “eating for two.” Also important are vitamins A, C, D and calcium as well as folic acid. These are helpful in the overall health of the baby and the baby’s growing teeth. Teeth begin to develop in utero at about 3-6 months gestation and use nutrients to make strong and healthy teeth. If morning sickness arises, try eating smaller, healthier meals throughout the day rather than larger and fewer ones. It’s also important NOT to brush immediately after vomiting. Rinsing the mouth out with water, mouthwash or water plus baking soda combined will allow the mouth to return to a more neutral pH. Then, you can brush. Proper hygiene throughout pregnancy is also key. Hormones, combined with plaque accumulation can lead to pregnancy gingivitis. This arises in women more often than most think. Red, swollen, and sometimes bleeding and uncomfortable gums are symptoms of gingivitis. There is also another condition that is common in pregnant women called a pregnancy tumor. This appears on the gum tissue and is usually a red, inflamed bump that appears on gums near the teeth. Proper oral care with brushing twice a day and flossing is the best way to keep pregnancy gingivitis at bay. Also, routine dental cleanings and exams are critical. In some instances, pregnant women may benefit from more frequent cleanings even with proper home care to help with pregnancy gingivitis. Most of the time, pregnancy gingivitis, and pregnancy tumors resolve after the birth of your baby. Most women often wonder if it is safe to go to the dentist when you’re pregnant. The best recommended time to visit your dentist in the second trimester. This is a time where it is safe for your baby and the most comfortable time for the mother. Usually, after morning sickness subsides and when you’re not quite to the uncomfortable stage of pregnancy where it would be difficult to sit in a dental chair for long periods of time are good gauges on when you are ready to visit the dentist. Lead apron dental radiographs create the proper shielding, and are considered safe by the American Dental Association. If a dental filling is needed, a discussion with your dentist is necessary to determine the best time to treat it. There are many unique situations for fillings, root canals or extractions and when to treat them, so discuss all of these issues with your dentist. Do not avoid the dentist altogether because you are pregnant. It is very important to manage your dental health and complete all dental treatment for optimum gum health before and after the baby is born. Poor oral health with gingivitis and periodontitis can lead to preterm delivery and low birth weight. Also, when the baby is born, avoid sharing utensils and putting the baby’s pacifier in your own mouth, which can lead to transferring bacteria to your infant. Early colonization of cavity-causing bacteria can lead to early cavities in your infant or child, even when they don’t have teeth yet. Your baby’s first appointment with a dentist should be approximately 6 months after the first tooth has erupted, and no later than the child’s first birthday. Here’s to happy, healthy smiles for you and your baby! 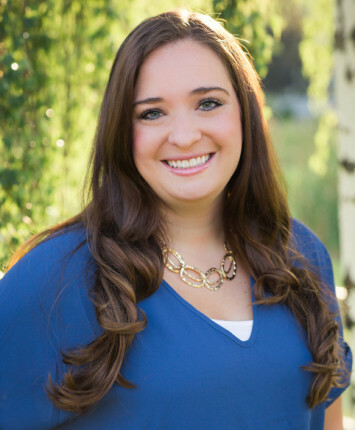 Dr. Whitney Garol is a pediatric dentist at The Smile Shop. She is an active member of the American Academy of Pediatric Dentistry.